One of my favorite people in this industry is Paula Nakata of Paula’s Sports Cards Etc in Honolulu, Hawaii. She just always has a positive vibe to her and customers in Hawaii all love making their way to her shop. She has really created a great community in her shop and many collectors make it a point to visit her store if they ever vacation in Hawaii. Since she has such a strong following, collectors end up breaking a lot of boxes in her store. 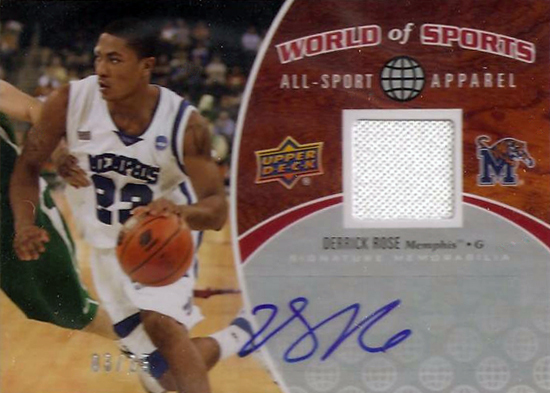 And the product they all seem to be enjoying right now is 2011 Upper Deck World of Sports. Oh Yeah! 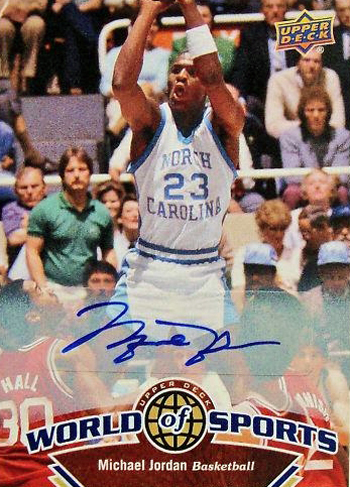 A Michael Jordan Autograph was pulled at Paula's! Carrying It Over: Preview the Top 2018-19 NHL® Carryover Rookie Cards from Upper Deck! Very nice, I pulled a Lebron Auto at Paula’s on my Honeymoon. She is very friendly and made me feel like I was at my local shop back in NY. Make sure if you ever make it to Honolulu, you stop by, you will not be disappointed. Even if you wanted to see the Tiger Woods Exquisite Jersey Auto and she mailed it out the morning you got there…lol. 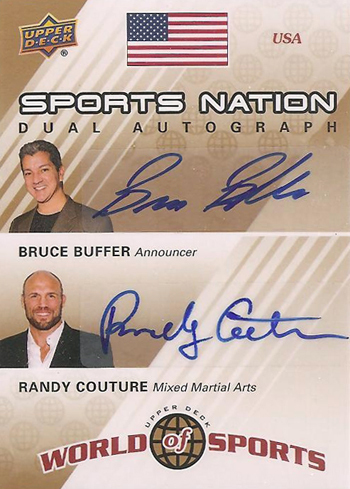 Liking that Buffer/Couture cards. Pretty cool combo. that d rose one is sick D ROSE FOR PREZ!